1. Rogue Shows This Week! Old Man Luedecke, Sarah MacDougall, and Ivan Coyote!! 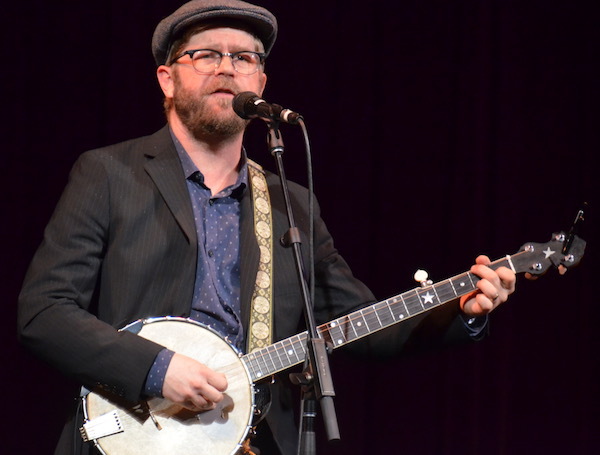 Just a quick reminder that we present Old Man Luedecke tonight (Monday January 28th) at St. James Hall (3214 West 10th Avenue) at 8pm. Tickets are available onlineuntil 2pm and at the door from 7pm. Chris has a great new CD, One Night Only! Live At The Chester Playhouse, and he is one of our most popular returning artists. Always gives a memorable performance. 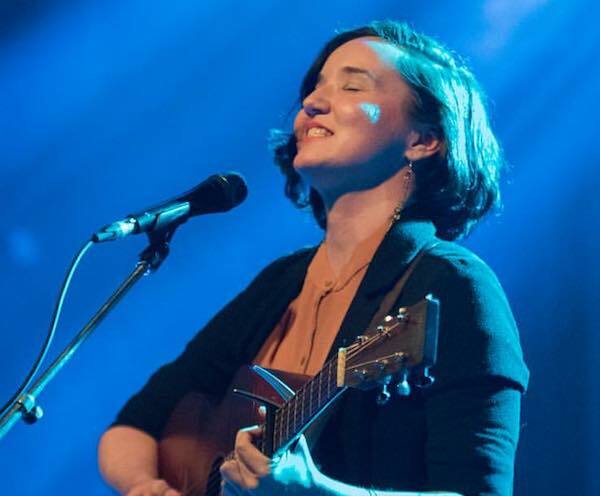 OnFriday February 1st at 8pm, Canadian singer songwriter Sarah MacDougall launches her new CD, All The Hours I Have Left To Tell You Anything, with a duo concert. What voice she has! We also have a very special treat for you! 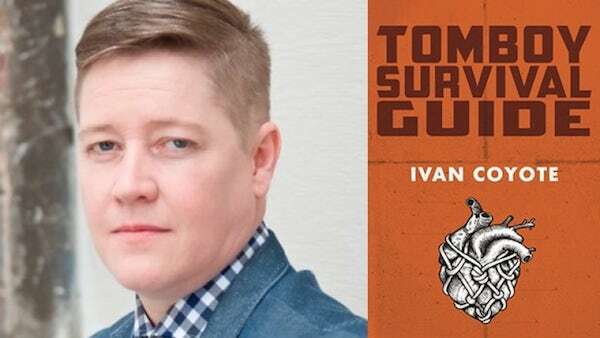 Ivan Coyote, one of Canada's most lauded spoken word performers, will deliver a short opening set at 8pm, so get there early, folks!! Tickets are on sale and starting to go fast - especially once the word gets out about Ivan's set! Last year we received a grant from Creative BC to help us produce the inaugural Rogue Fiddle Festival - The Driven Bow. We featured 6 diverse bands from around B.C. 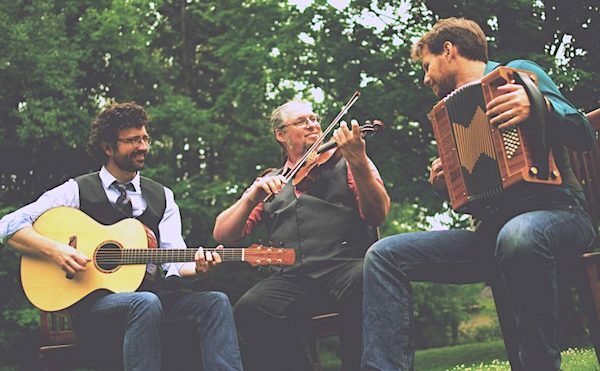 showcasing many different styles of fiddle music from Latin to Celtic, Old Time to Gypsy Jazz - and even Metis style with dancers from B.C. (and Arizona and New Mexico who just happened to be in town for the Talking Stick Festival!) It was a wonderful event, with three full-length concerts at St. James Hall, and six participatory workshops in the rooms downstairs. There were two major provisos of the Creative BC grant: all the musicians had to be from B.C., and we would not be able to ask Creative BC for funding for this event again. So this year we are delighted to announce the Second Annual Driven Bow Festival will take place February 8 - 11, once again at St. James Hall. This time we have invited bands from Louisiana, Cape Breton, and Quebec as well as B.C. This will be a unique evening of "Creative B.C. Fiddlers In The Round". The concert will showcase some of the most creative, versatile, and downright brilliant fiddlers from the Lower Mainland and Vancouver Island, featuring Daniel Lapp from Victoria, Kierah Raymond from White Rock, Kathleen Nisbet of East Van's Viper Central (she led last year's Metis fiddle band at our event), and Trent Freeman of The Fretless. They will be accompanied by The Bills' multi instrumentalist Adrian Dolan and The Paperboys' percussionist Robin Layne. We anticipate a memorable evening of stories and tunes and jams in a uniquely intimate public meeting of minds and fiddle bows. And more! Workshops with Daniel, Kierah, Kathleen, and Trent will take place the following afternoon downstairs at the hall, Full details to be announced later this week! 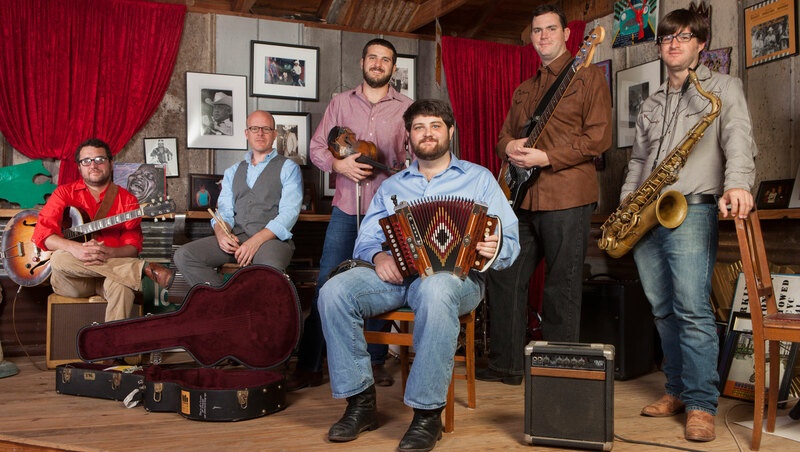 In the evening we present The Revelers, an exceptionally powerful zydeco / swamp pop sextet with fiddle, accordion, sax, and guitar backed by bass and drums - and the exquisite vocals of drummer Eric Frey. 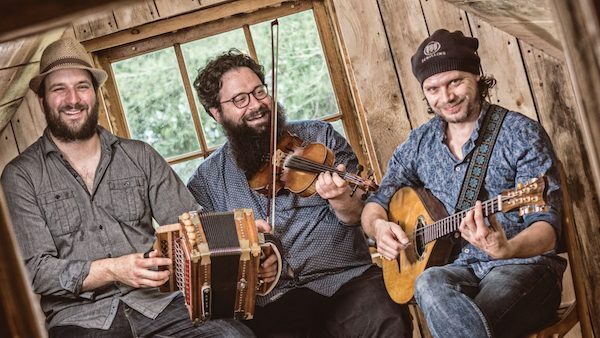 They sing in English and Cajun French and are guaranteed to have the dance floor bouncing with happy feet two-stepping and waltzing and jitter-bugging the night away! Their previous three concerts at The Rogue have all been sold out, so make sure you get a ticket and bring those dancing shoes! 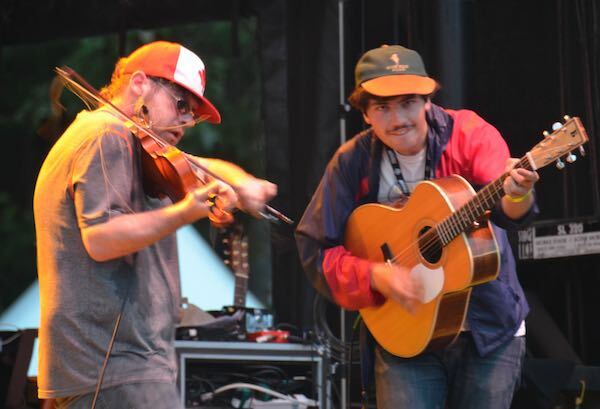 This evening's concert is a very rare treat: Cape Breton's mercurial fiddler Ashley MacIsaac, in an acoustic duo with brilliant Victoria guitarist Quinn Bachand. They first toured together 10 years ago, and we are thrilled that Ashley is coming all the way over to this coast to celebrate that anniversary with a concert and workshop at The Driven Bow festival! The evening concert is already Sold Out, but three workshops earlier in the day will be an added treat. (Ashley will present one of these!) Full details will be announced later this week! Quinn and his sister Qristina - herself a very fine fiddler and gorgeous singer - will open the concert with a short set of their own music before Ashley shreds his bow and stomps away in his distinctive style! We added a fourth evening before we discovered that BC had moved Family Day to the following week - to tie in with the rest of the country. However, the two bands we have for your delectation that evening will round out the festival in finest holiday style! Quebec trios Genticorum and De Temps Antan have both played here several times before - with one or two sold out shows at The Rogue for each of them. They both have great new CDs, and their repertoire of crooked tunes and playful French chansons will have us smiling and dancing and having a whale of a time - even if we don't quite catch the meaning behind all the lyrics! There's something for everyone at this year's Driven Bow festival! Come to one or more shows, or hopefully you've already purchased a pass for all four concerts - for the price of three! If you're a fiddler, check out a workshop or two (pay at the door) and learn from some of the most inspirational teachers in North America. 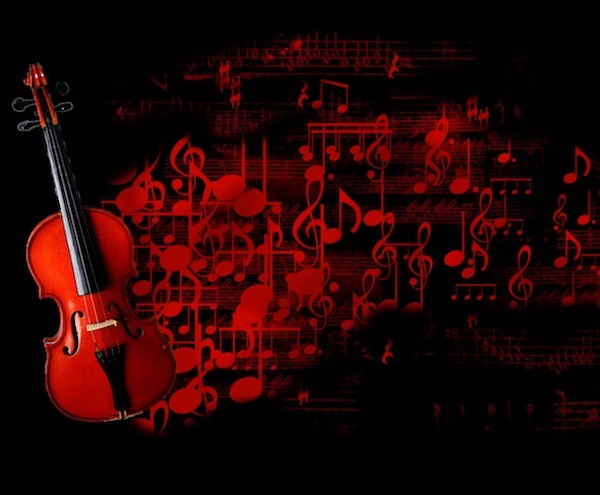 Even if you're not a fiddler, we are 100% certain you'll love the concerts. What better way to banish the winter doldrums than to celebrate the music and cultural heritage of this amazing nation (and its offshoot "cousin province" at the mouth of the Mississippi - Acadian Driftwood, anyone?) 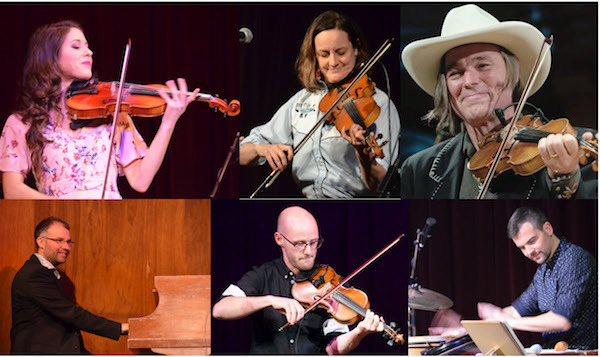 than to experience a weekend of fiddle-driven Roguery?!?! ?